Founded in 1999 in Cambridge, MA, Black Salt Press™ is an award-winning publisher of poetry, fiction, and non-fiction. We also publish titles in the fields of photography, history, and the arts. 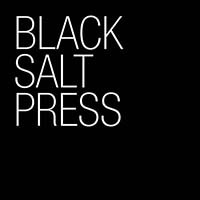 Black Salt Press believes in a true author/publisher collaboration, with a focus on unusual works in the areas of poetry, fiction, non-fiction, photography, history and the arts. All Black Salt Press titles are printed in the USA using letterpress, offset, or digital, or a combination thereof. We produce limited editions of artist books, to larger runs to satisfy the wider-reaching commercial book market.